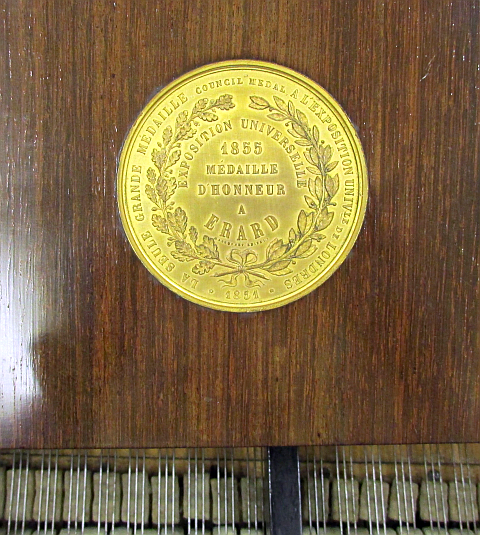 The piano has a seven-octave compass, AAA to a4. It has two pedals, damper and una corda. 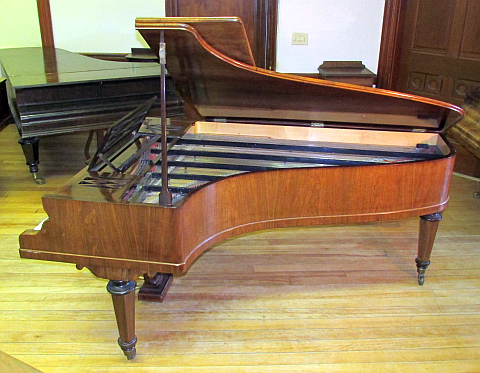 The composite iron frame consists of five bars, a plate, and an Erard harmonic bar. 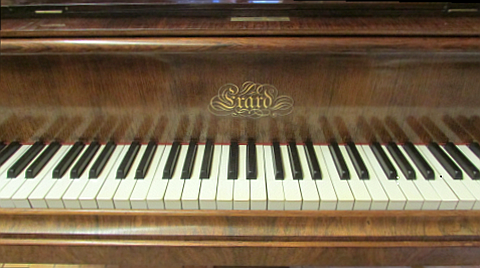 This Erard was imported to Washington, DC from the Isle of Guernsey in 2006 by a descendant of the family which had owned the piano for at least three previous generations, possibly since it was purchased new. 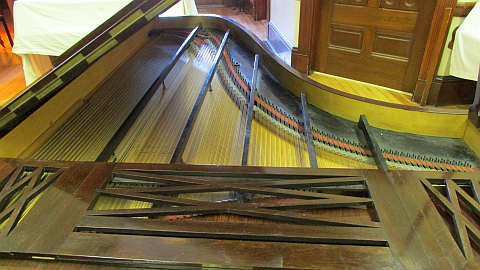 The Fredericks acquired the piano in March, 2016.